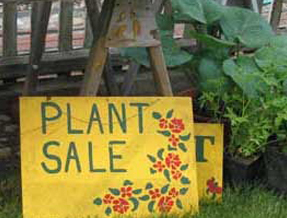 It’s easy to think that garden plants are the only thing you’ll find in a Plant Nursery. Libertyville, IL customers rely on Turks’ Greenhouses to provide not just one type of garden plant – we have a very wide range of garden plants on-hand to choose from, including shade plants, groundcovers and rock garden plants. At Turks’ Greenhouses, we have a staff of certified horticulturists with terrific experience in the field. We take delight in serving you and helping you experience all of the possibilities for you in our Plant Nursery. Libertyville, IL customers realize that Turks’ Greenhouses has served the community since 1978 with all that you need from a Plant Nursery. Libertyville, IL clients know they should get in touch with us at Turks’ Greenhouses at 847-546-1569 to speak with our team to find out how we can meet your needs in our Plant Nursery.